as most know ethanol is the alcohol in adult beverages. and, of course, unlike gasoline, alcohol/ethanol mixes w water. water is everywhere. and as such, it finds its way into the ethanol component of E85. this is no big deal as far as tuning as the % is tiny. it is a big deal as to our fuel injectors. a very big deal. rust is the deal and it is a killer. our injectors are electronic valves and open and close based on magnetism. while much of the internals are stainless steel (no rust) the crucial part needs to be iron so as to do the magnetic thing. given the extremely small clearances and movement necessary to deliver precise amounts of fuel microscopic amounts of rust can initially change the amount of fuel delivered and eventually shut the mechanism down. i structured an AI system using fuel injectors initially at my elbow and ran 100% methanol. worked perfectly. i then modded it so as to have a fuel injector preturbo to compliment one in my elbow. since part of the system was preturbo i switched to 50/50 water/meth. in less than 2 weeks both injectors completely shut down. i was aware of the water/injector problem but thought it might just be a maintenance item and was figuring at the worst i might have to replace them now and then. the other experience is current. my injectors sat in my motor for a year. totally my fault but i was assuming that if they were non functioning it was just a matter of having them cleaned. nope, they are toast as in rust. i realise this is not news to many in this section but just thought i would share my learning experience. Last edited by Howard Coleman CPR; 10-29-14 at 09:42 AM. given that i am at 54% duty cycle w 4 2000 CC injectors on E74 (FFS) at 575 SAE and my power objective is an approx max of 600 i am going to replace my 2000s w the ASNU/Bosch 1650s. 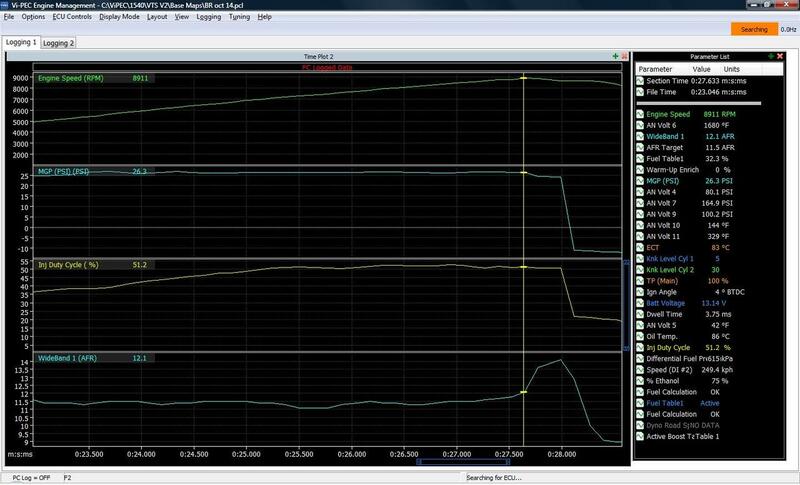 since i will be on the dyno shortly thereafter i will have some data. there are some lengthy threads on a GTR board re the new injectors. according to ASNU, the injectors offer better resistance to the water that finds its way into our ethanol based fuel systems. Last edited by Howard Coleman CPR; 10-31-14 at 03:00 PM. 25.5 psi at max power. 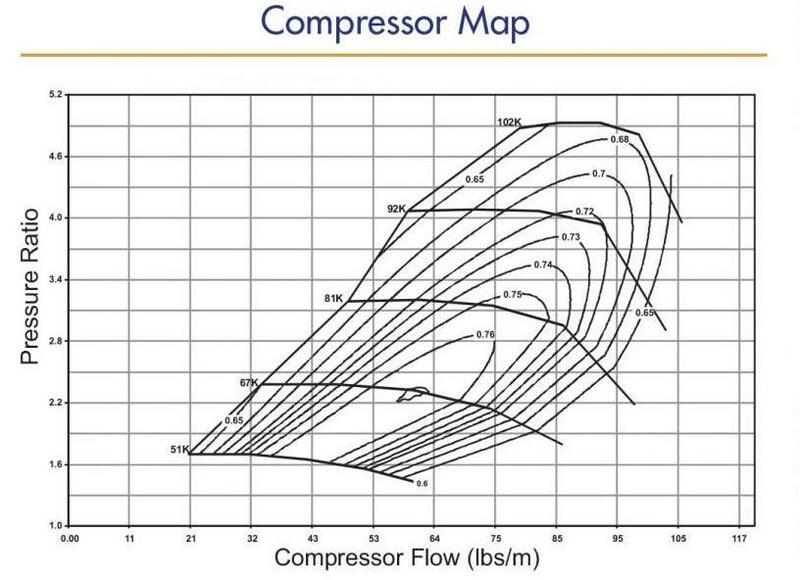 (575 SAE, 588 STD) highest boost plot was 26.6.
while you were running less boost your turbo compressor is 9.5 sq inches V mine at 8.1 so you could be pushing more air and of course use more fuel... the 475 can make 96 pounds of air at your boost level whereas mine is less than 80 at 26. my overall setup is efficient as i get close to 20 mpg at a constant 74 mph w E74. Last edited by Howard Coleman CPR; 10-31-14 at 11:11 AM. thanks howard as preventative maintenance I give her a start once every week if she's not being used that helps from issues rising. When I purchased my Injector dynamics they had a little warning disclaimer brochure in the box. That states they should not sit on E85 without being used. They also recommend if your storing the car to flush the fuel system just run gas through them for proper storage. yes, the gas flush really is the ticket for any lengthy layup. while i am not a fuel injector expert as i understand it the 2000/2200 injectors are designed for propane and used in european busses. there is nothing wrong w the injectors but they apparently have some sort of non metallic seat that can swell w alcohol as well as a ferrite/magnetic piece that is the dynamic actuator. either of these items can change delivery. ASNU injectors have a stainless steel seat and apparently contain a more rust resistant dynamic component. i will be interested in both the duty cycle V my 2000s as well as their resistance to ethanol. I'm pretty sure ASNU injectors aren't 100% stainless steel internals like the ID1300's, that's why I opted for six of the ID1300 instead of something like an ID2000 or other brands that make claims of having all stainless internals. The guys at ID really know their stuff. After seeing some of the initial test results for the "1650's" I think they are a bit optimistic. Would you be able to get by with ID1300's since you are spraying a decent amount of methanol?